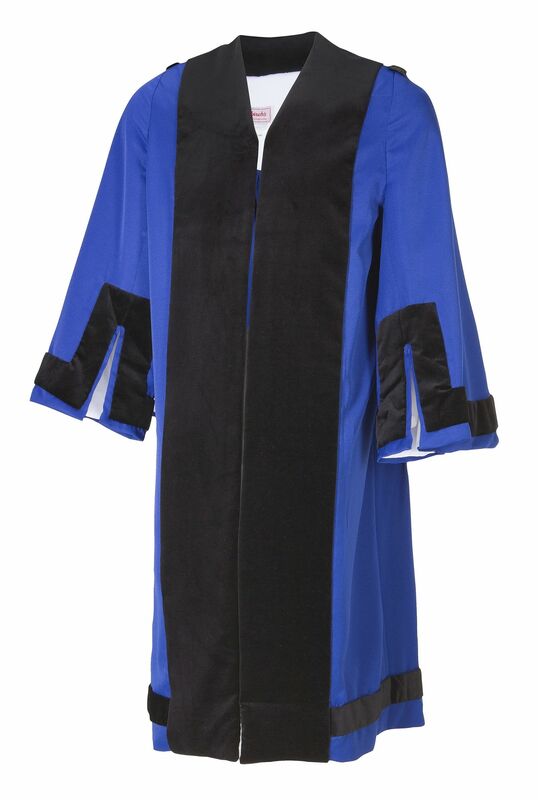 This robe is offered in the Municipality's choice of colour and trims. 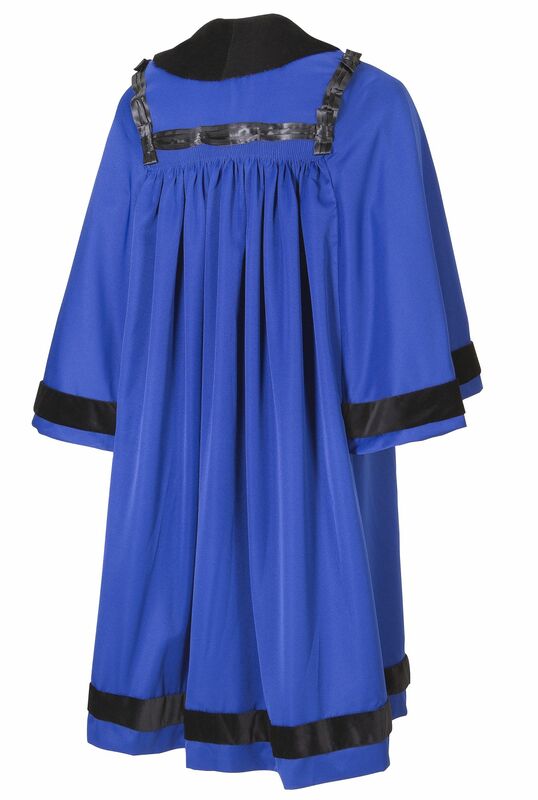 Finishes of generous velvet of the facings, sleeves and above the hem, as well as pleated satin ribbon framing the back yoke. Slit opening on sleeves allows for easy movement of arms. We also offer the Deputy Mayor's hat.